Sound therapy is another option that can help lessen the severity of tinnitus. Sound therapy involves the use of a sound-generating device as part of an overall program designed by an audiologist that includes informational counseling and other activities to help ease the stress of tinnitus. Sound therapy includes an individual regimen of listening to specific sounds such as soothing tones or customized music through headphones to help re-focus the auditory system. In general, tinnitus treatments may not make the tinnitus disappear completely, but but they may make it less noticeable and ease your stress and anxiety from it. 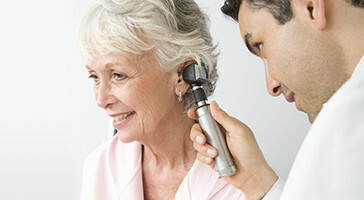 Schedule an appointment with our doctors of audiology to evaluate your tinnitus and discuss about the best tinnitus treatment option for you. Call us today (406) 586-0914.